Mark Hulliung is the Richard Koret Professor of History at Brandeis University. He has published widely on topics concerning intellectual, cultural, and political history, both European and American, including the interactions between America and Europe. He is a historian and a political theorist, and his work is interdisciplinary in nature, cutting especially across history, political science, and literary studies. He has taught a wide variety of courses at both the undergraduate and the graduate level. Hulliung, Mark L. Enlightenment in Scotland and France: Studies in Political Thought. Routledge, 2019. Hulliung, Mark L. Rousseau and the Dilemmas of Modernity. Transaction Publishers, 2016. Hulliung, Mark L. ""The Social Contract in the American Enlightenment"." The Bloomsbury Encyclopedia of the American Enlightenment. hardcover ed. 3 vols. 2015. Hulliung, Mark L. ""Absolutism"." The Encyclopedia of Political Thought. hardcover ed. 1 vols. 2014. Hulliung, Mark L. ""The Place of Marxism in the Thought of Lewis Feuer"." Society (2014). Hulliung, Mark L. Citizen Machiavelli. paperback with a new introduction ed. New Brunswick: Transaction, 2014. Hulliung, Mark L. Sartre and Clio. paperback ed. Boulder: Paradigm, 2014. Hulliung, Mark L. The Autocritique of Enlightenment. paperback with a new introduction ed. New Brunswick: Transaction, 2014. Hulliung, Mark L. Sartre and Clio: Encounters with History. Paradigm Publishers, 2013. Hulliung, Mark L. ""Rousseau et les Philosophes: Facing Up to the 'Enlightenment Wars'." Rousseau et les philosophes. vol. 2010 Ed. O'Dea, Michael. Oxford: Voltaire Foundation, University of Oxford, 2010. 235-250. Hulliung, Mark L. The American Liberal Tradition Reconsidered: The Contested Legacy of Louis Hartz. University Press of Kansas, 2010. Hulliung, Mark L. Las Ideologias politicas contemporaneas. Alianza Editorial Sa, 2007. Hulliung, Mark L. The Social Contract in America: From the Revolution to the Present Age. University Press of Kansas, 2007. Hulliung,Mark L. "Two Tales of Modernity and Its Discontents". Clio, 2005. Hulliung,Mark L. Citizens and Citoyens: Republicans and Liberals in America and France. Cambridge: Harvard University Press, 2002. Hulliung, Mark L. ""Montesquieu"." Classics of Modern Political Theory. Ed. 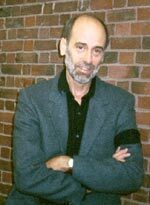 Steven M. Cahn. Oxford University Press, 1997. ch. 5. Hulliung,Mark L. Contemporary Political Ideologies: Movements and Regimes (6th ed.). Harper Collins, 1996. Hulliung,Mark L. The Autocritique of Enlightenment: Rousseau and the Philosophes. Cambridge: Harvard University Press, 1994. Hulliung,Mark L. Citizen Machiavelli. Princeton University Press, 1984. Hulliung, Mark L. ""Montesquieu's Interpreters: A Polemical Essay"." Studies in Eighteenth-Century Culture. American Society for Eighteenth-Century Studies ed. vol. 10 Ed. Harry C. Payne. Madison: University of Wisconsin Press, 1981. 327-347. Hulliung,Mark L. Montesquieu and the Old Regime. University of California Press, 1976. Hulliung, Mark L, ed. "Patriarchalism in Political Thought". ? : Sage, ? 1973.